Since we moved to South Carolina, we have been renting an apartment. Our Ohio house sold in late November, but while we were paying rent AND the mortgage, we weren’t able to squirrel away much savings toward a down payment for a new home. Now, several months later, our finances have recovered to the point that we are beginning to think about house hunting. I’ve never bought a house before, since Ethan had already bought our first home before we met. We want this to be THE house – our forever home, where we bring home our newborns and send them off to college, so we have been thinking a lot about what we want and need in a home. It’s really exciting, as we think ahead to our future needs to anticipate what our needs will be when we have children and as they grow. We want each of our children to have their own bedroom, and we dearly hope to have two (or more – depending on God’s plan and the number of embryos we have from IVF-ICSI, of course). 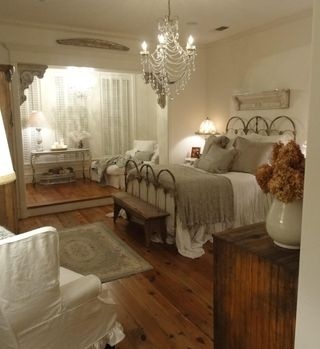 Then there’s a master bedroom. We would love for it to be big enough for a king-sized bed. And having a great guest room is VERY important to us. Living away from so many family and friends, we consider it VITAL that we have a cozy place for them to stay when/if they visit. Preferably with a full bathroom that they don’t have to share with us/the kids. The “maybe” bedroom is for a home office and crafty area – if there is room for that (or a designated office) elsewhere in the house, four bedrooms will be peachy. Nice kitchen with more counter space and storage. This won’t be too tough, since our Ohio house had only a little bit of (fairly chopped up) counter space, and this apartment has next to none. 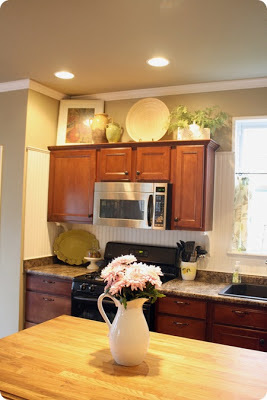 Really, a moderate amount of counter space will thrill me, haha! Our Ohio house DID have GREAT cabinets and a nice, big pantry. Miss those! Look at this happy face! <3 my little man! 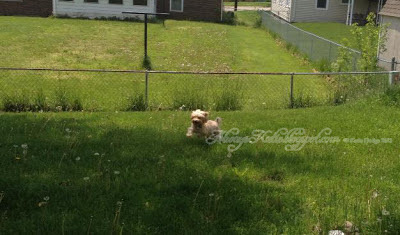 It needs to be fenced or fence-able, because I watched Charley play with my friend’s dog in her fenced-in backyard not too long ago. It was his first.time to be able to just RUN outside without a leash, and I want to be able to provide that for him… as well as a safe place for his less-furry siblings to play someday. NO POOL. I’m not a big fan of water anyway, but my poor daddy worked on our pool a LOT when I was growing up, and… I don’t wanna. It’s a ton of maintenance, and I’d rather sit in a lounge chair with a glass of homemade lemonade watching the kids run through sprinklers or something. 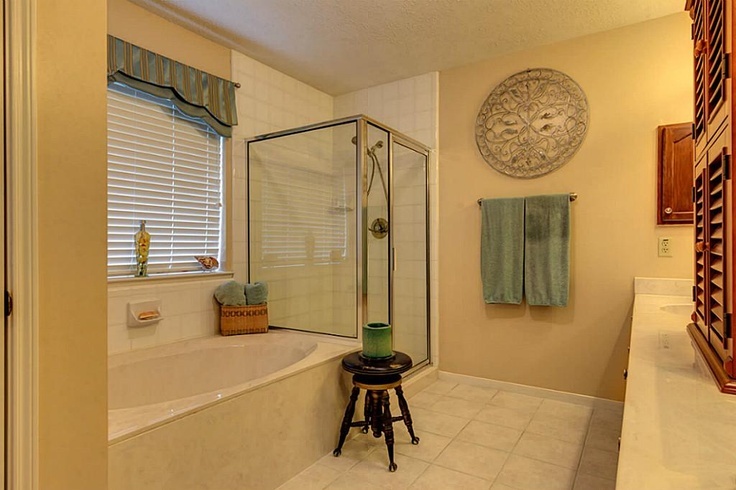 Roomy tub and shower in the master bathroom. Heating pads and warm baths are my primary methods of pain relief, so this is a biggie. Our first bathtub was barely wider than my hips (which are not THAT wide)… the apartment tubs are bigger, but still leave a little something to be desired… like jets :-) Plus, I wouldn’t hate it if the tub and shower were big enough for two. Just sayin’. We have a list of “would be nice” features, too, but that feels like a different blog post. :-) I also plan to share some of my inspiration pictures from Pinterest, and – HOPEFULLY SOON – progress pictures as we choose, move into, and personalize our next home! Yippee! I'd also love feedback - is there anything I am forgetting that you consider a must-have? Also - who are your favorite, must-follow home improvement/decor bloggers? I've always loved looking at houses, too. :-) I can't believe that I get to pick one out for realz! Thanks... it's good for my mental health AND it's practical, lol. Coffee and Conversation #13: Why "Always, Katie"?